Described as “excellent” in the Legal 500 directory for 2013, Nick Snowden has specialised in employment law since he qualified at Clarkslegal LLP in 2001. After spending 5 years in Clarkslegal’s top-rated employment law team, Nick worked in the City with Speechly Bircham LLP followed by a return to Reading with David Blomfield at Boyes Turner LLP where, during his time there, the team moved into the top tier of employment teams in the Thames Valley as rated by the two main legal directories Chambers and The Legal 500. Nick enjoys working with clients to avoid litigation where possible, but he has over a decade of experience as an Employment Tribunal litigator and advocate for those situations in which litigation cannot be avoided, whether the claim is for unfair dismissal, unlawful discrimination, whistle-blowing or any other form of employment law claim. Nick also regularly advises on the full range of non-contentious issues including business reorganisations, redundancies, TUPE, directors’ service agreements, employment contracts and settlement agreements. Nick trains Human Resources professionals and managers on employment law issues and is a regular speaker at seminars and other events. 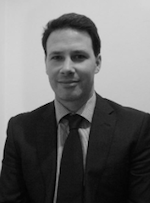 Nick is bilingual in French and has a keen interest in cross-border issues having attended the last three annual conferences of the European Employment Lawyers Association. Nick was recently presented with an award from the Tizen Association (which includes amongst its members, Samsung, Orange, Intel and DoCoMo) for his contribution to that Association.